When I first moved to New York – pre Mayor Bloomberg and designated bike lanes – I rode my bicycle in the city a few times but it was way too stressful so I kissed the idea and the bike goodbye. Recently though, after hearing someone rave about the Citibike NYC program, I went for it and signed up. The very first time taking out a bike out of the dock and the very first hop on the seat … I tumbled and fell sideways! A big tree broke my fall and I broke the fall of the bike. A nice guy asked if I needed help and I said no and did my best not to look embarrassed — which I was. I was embarrassed to the very core of my being. I dusted myself off, got back on the bike, rode hesitantly at first and then a good many miles, and at some point the nerves ended and elation kicked in. Traversing the neighborhoods that would take nearly an hour by foot in mere minutes, and zipping past the Williamsburg bridge with the Manhattan landscape glittering and sparkling on the other side of East River – a magical view I had not glimpsed in years – was exhilarating. I thought: I want to bike all the time, everywhere! I thought: Biking in the city is the next best thing to flying in the city. I thought: Oh, the freedom I will have. The freedom! It was a definite high! It wasn’t until later at home that I even realized that I had bloodied and scraped a good chunk of my left knee, arm, and elbow. Adrenaline, mighty drug you are! Then the next day, I had horrible chest pain which ebbed then later grew more alarming: it hurt to move, laugh, sneeze, or even talk with animation; and I could only take very shallow breaths. Turned out I had badly bruised ribs and was down for the count for a number of days. 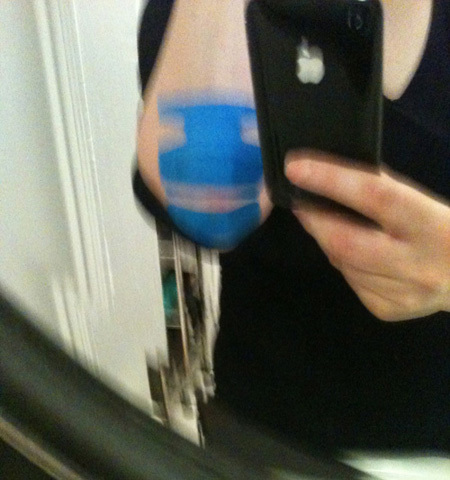 A painful physical impairment – the very opposite state of freedom – that got me blue and feeling rather sorry for myself. So I threw myself a huge pity party. (Didn’t you get the Evite?) Why oh why did I fall like that when I’ve known how to ride a bike since I was 4 years old? I lamented. But it was no mystery. I fell because I was a bundle of nerves and anxiety about riding in the street with cars and traffic. I was afraid. I tried not to be, but, I was. So I fell before I even started. Fear is … Fear is a mother chucker. 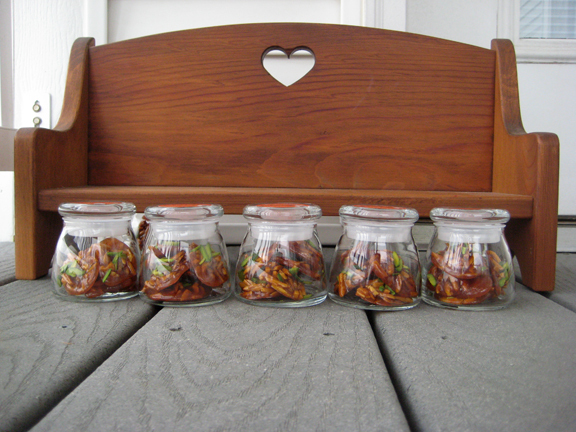 And what does this saga have to do with with sohan ‘e assal, aka Persian honey almond brittle? 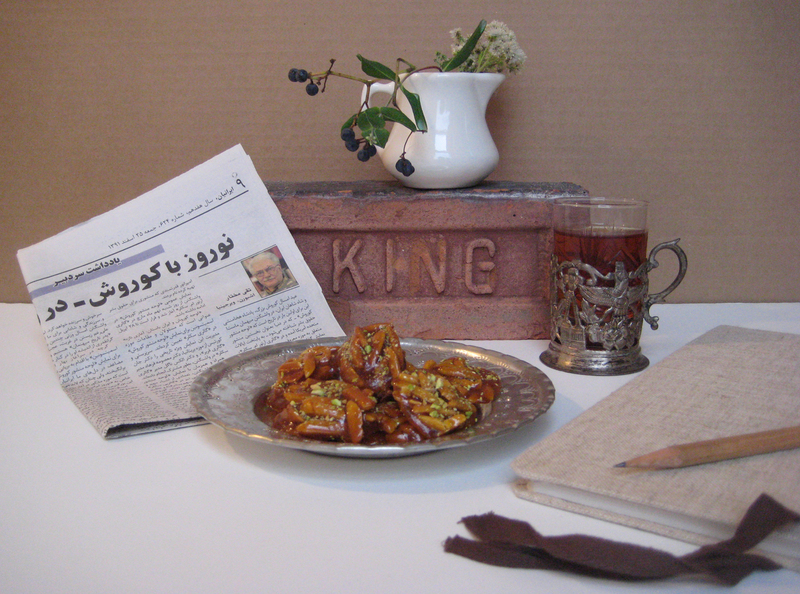 Persian food does not have a tradition of desserts, as meals are finished off with tea and fruit instead, so there’s a limited amount of authentic Iranian sweets in the culinary repertoire, but this Persian honey-almond-brittle candy is one of them — a traditional and popular sweet in Iran that is among the shirini (candies, sweets, pastries) served for Norooz — a favorite with young and old. There are various sohan ‘e assal recipes. Some use rosewater, some use butter, some do this, some do that, but after a few trial and vexing errors, the recipe we’re sticking to (get it?) — since it’s proven consistently reliable in producing the type of candy texture that is crisply and densely chewy without being sticky, tastes best, and comes out a nice color — is the recipe given us by Khojee joon, a beloved family friend. 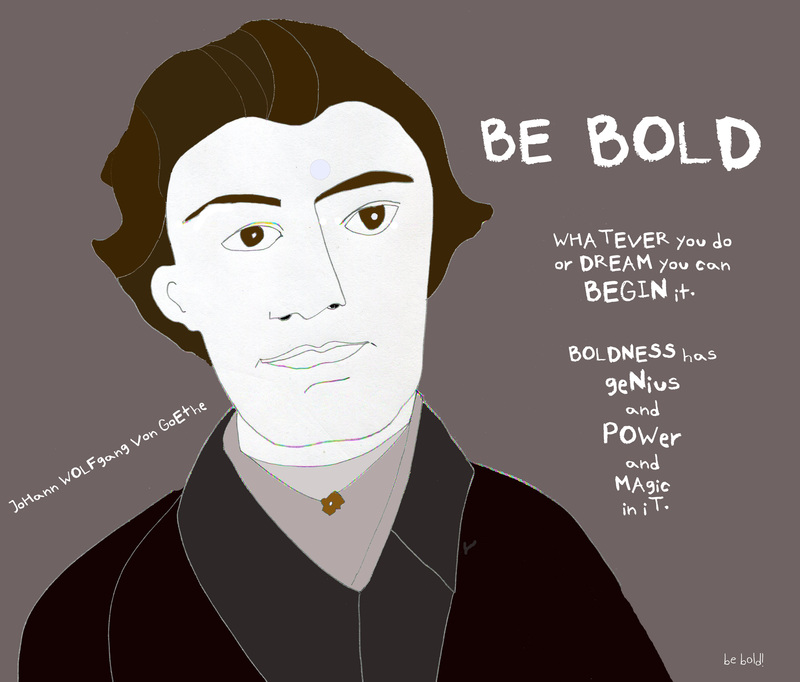 Be bold and go forth and make some of your own sohan ‘e assal. Dissolve saffron in a tablespoon of hot water. Cover two flat trays (or cutting boards, sheet pans, silicion mats) with parchment or waxed paper. Place near the stove. Notes: Use a small (or medium-sized) non-stick pot, and only use a wooden spoon to stir the mixture. A heat diffuser will be quite helpful at the last step – if at all possible. Combine sugar, honey and oil in the pot, melt over medium-high heat for 5-7 minutes (until ingredients have completely melted and blended together, turning a warmer color) — stirring only occasionally. Place teaspoonfuls of the hot-almond mixture on the parchment, and immediately sprinkle with chopped pistachio garnish. Repeat doing so, leaving a 1-inch space between each spoonful. Note: It helps and is usual practice to have 2 people working together at this stage. One person quickly placing spoonfuls of the mixture on the parchment, the other person immediately sprinkling it with the chopped pistachio garnish. If working alone, be fearless, bold and dexterous, and work as quickly as possible. Allow candies to cool. Remove from paper and arrange in a serving plate platter or tray of your choice. Will keep for 1-2 weeks if stored in an airtight container. Pick by hand. Pop in the mouth! Eat as is, or enjoy with a hot cup of tea. It nicely goes with coffee as well. Yum! Mind you: chew delicately and not with vigor. I do joke that sohan ‘e assal can be nicknamed “the dentist’s friend” because it is densely chewy. Thus: take gingerly rather than greedy reckless bites when indulging unless you’re planning to support your favorite local dentist’s summerhouse fund. Azita, I’m not sure if these little delights would last for 1-2 weeks in my house… I think they would be gone within a day or two at most! So sorry to hear that you injured yourself (quite badly it sounds! ), though hope that you’ll be able to hop back on that bike sometime before too long, to enjoy again the freedom and lift that it gave you! They never last with me either Margot and that’s why I keep only a little and give the rest away, otherwise, I’d eat it all! Happy to report that I’m OK and back to biking. Woo hoo! Thank you!!! The brittle is delicious, it really is so nice with tea. I share your fear of bike riding here. I have walked by the citi bike stand but can’t bring myself to get on a bike. The crazy drivers here scare me. Hope you are feeling much better now. I know Suzanne! There are the crazy drivers and then crazy bikers too who ride the wrong way or zip past you and then pedestrians who jay walk and car doors that open and whooah, way too many things that are cause for concern, but have to confess that have been bitten with the biking bug now and am doing it regardless. Sorry to hear about your bike accident – scary! Don’t let it stop you from getting back to it. Ahu joon, yeah, I was surprised the first time I made it (on my own and a different recipe) that it was more difficult than I anticipated and similarly I also ended up with was basically a fiasco bearing little resemblance to a good sohan ‘e assal. this recipe is good, but the timing is still a delicate thing. The mixture-drop in ice water test is reliable though. …. Anyway wishing you luck and may the force be with you should you venture forth with making it again. Love the story and the recipe! And the idea of Evites for pity parties 🙂 We’re hosting our very good Persian friend for Thanksgiving this year– perhaps I’ll make this to go along with the pumpkin pie. How very nice! I’m sure Thanksgiving at your place is bound to be a warm and festive occasion. Please do a post about it afterwards? It will be warm, festive and multicultural (Persian, Indian, Taiwanese, Cantonese, Jamaican, SIberian and Trinidadian guests will all be present! ), but I don’t know if I’ll manage to also take photos. What are your plans? Wow! Sounds amazing! My plans are immediate family and as I mentioned, hopefully a Persianized menu, ha ha! Have some ideas, we’ll see how it turns out. The brittle sounds so so good! I wonder if it can be made with maple granules instead of sugar? Hope your bruises and scrapes heal fast! Patty, the recipe is a little bit finicky so I’m not sure if substitutes will work. BUT: if you’re game to try a small batch and do your mad genius improvisations, that’ll be cool an if so, let me know how it turns out! Oh, Azita, you poor girl. Are you ok now? You know we have a sweet called Sohum halwa, which is hard (unlike most halwas) and cracks into the most buttery and satisfyingly crunchy pieces when you bite into it. Could it have similar origins? ‘Asal’ in Hindi means “genuine”- as in the real McCoy! Oooh, that sohum halwa sounds interesting. Me like! Maybe can persuade you to do a recipe post? Re the linguistic stuff: very interesting! In Arabic “asl” means genuine, which is a word that’s used in the Persian language as well. thank you for visiting Radhika joon! First- so sorry you were so hurt! Ouch! And second- this sounds delightful! The saffron must really make it so delightful. Looking forward to trying it this holiday season. Dear Preppy Pink Crocodile (I love reading and saying your handle name, ha ha): the saffron does give it special oomph and je ne sai quoi quality so agree and so happy to hear you may be giving it a try come the holiday season. they do make nice gifts, in my humble opinion. What a lovely, well-written post! I love the line, “Fear is a mother chucker” – haha! Anyway, this dessert looks wonderful, but I don’t know that I have the patient kind of personality not to ruin it. Maybe that means that I should try it as it would be a lessen in serenity for me. We’ll see! I can’t take credit for coining “mother chucker” that’s actually courtesy of that show “Gossip Girl” … which I have to confess to having watched. If you do need to test yourself, this recipe is a sweet way to practice patience and serenity! Let me know if you do! Ouch, it hurts when you take such a massive fall! Love this recipe, but wondering about the corn oil… I’m not sure that it’s available in Australia… no other substitute? Alas, Liz, for best results, there is no other substitute. But just to be safe, I’ll check with our friend who gave us the recipe and see if she has any helpful suggestions. Hopefully! Surprised they don’t sell corn oil in Australia! Ouch, Azita! So sorry to hear about the fall and the bruises it left behind: hope you are feeling much better now. Azita jaaaaaan! I’m glad to read that you are feeling better now. What an incident! I was feeling the pain as I was reading. How you related your incident with the patience needed for sohand asali is interesting. Thanks for the recipe… I used to refer to this sweet as badum sukhteh. Is there any difference? oh no, Fae, they’re entirely different things. badoom sokhteh is a roasted/spiced/sweetened almond (quite quite delicious and now you’re making me want some, ha ha) so it’s different from sohan asal, which I guess means you’ve never tried it yourself? If not, try the recipe, you are so good at making these types of things, you would do a beautiful job of it. Rebecca, I hear you, I do the deep breath and a prayer! And have yet to get used to the big vehicles whooshing by. Re veganifying the recipe: let me check with the family friend who gave us the recipe and I’ll get back to you. Wow these sound amazing. I didn’t know you were in nyc! I am too and the bike program scares me. My husband just bought a road bike, but not for commuting. A bunch of my fellow lawyers here bike into work. I prefer scenic paths with no cars. Beautiful post as always. Do you do the drawings yourself? I love the fork and handwriting! You are so talented. Yeah, I live in NY! Wouldn’t have it any other way! I actually prefer the cityscape to a strictly scenic path, but I do wish the cars magically disappeared, ha ha, or the horrifying big trucks. I try to go at non-rush hours and it’s not that bad and interestingly enough, I feel the safest at night because can detect movement of cars via their headlights so it’s less of a surprise or being taken unawares. Oh my I love these! I usually go for the ones with whole almonds. I have tried to make them at home but they were not quite as good as the ones you buy from the sweets store. I love the idea of using whole almonds, hmmm. I don’t think Iranians do it like that at all, but I could be wrong. I’d be incredibly interested in seeing how they turn out in your hands if you try the recipe. Keep us posted! Oh and I am so terribly sorry about your injuries, bruised ribs are horrible because they hurt with every single breath! I hope you feel better real soon. The almond candies, I think I’ve had them before and enjoyed them very much. Thank you for the recipe. It’s definitely on my list to try! I so don’t blame your for laughing, I kind of laughed at myself as well. 😉 Ultimately, all’s well that ends well. Let me know if you try the recipe! Thank you Francesca joon, I’m back to normal, I’d say 99% so all’s well and thank you for asking. … that wooden bench is so cute, it’s one of my favorite things but have no idea how it ended up being one of my possessions, it’s a complete blank! The photographs look wonderful but poor you. I had a different incident with my bike in the City – it was my pride and joy, a very generous gift complete with custom dog basket for the front. I rode it once, it was much admired by others so admired by one, that they decided to take it home. It was never seen again. I haven’t got on another one since!! Hope you are feeling better and repaired? Oh Maria, your bike sounds like it was amazing and that’s awful that someone stole it right from under you. I’m outraged on your behalf. Please go ahead and try another one. Maybe a less pretty one that won’t tempt the thieves? I’d forgotten how much fun it is and you’ll be surprised as well. And as for moi: i’m all well! thank you! What a beautiful blog. I love your still life photos. Hope your arm recovers soon. Thank you Sally, what a nice thing to say! I’m happy to report I’m fully recovered. Yay! PS Ouch! Cycling is liberating but dangerous! I hope you’ve recovered and dared to get back on the bike. Ooh, do let me know how it turns out!